Iconic UK entertainment retailer HMV called in the administrators for the second time in its recent history late on Friday. The prominent high-street entertainment store last called in the administrators six years ago and despite cost-cutting, refocusing its business, and some investments has found itself in a similar sticky situation. The FT reports that HMV will keep its 128 bricks and mortar stores trading while management and KPMG assess the options available. 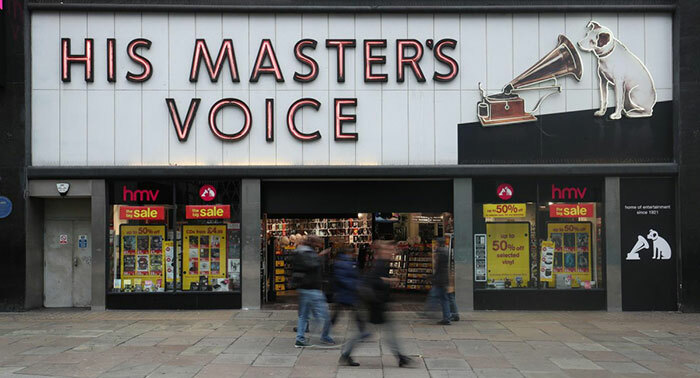 It is possible that HMV will be revived again, but if no rescue or similar kind of solutions is found then it will be joining the likes of Woolworths, Toys R Us and JJB Sports. There is pressure to find some path to keep the stores open not just to save the brand, and its service for the high street but there are about 2,200 jobs at risk. KPMG described HMV's most recent trading, in the run up to Xmas, as "extremely weak". In the FT piece linked above, the current Waterstones boss, James Daunt, shared comments describing the post 2013 HMV strategy as "relatively unimaginative" and risk averse. While Waterstones has gained strength from building up its wide demographic appeal, HMV had been too narrow, opined Daunt. Remember that HMV and Waterstones were owned by the same company from 1998 to 2011 and they operate in related retail categories. In other comparisons eBooks appear to have peaked at about 25 per cent market share but streaming, downloading, and online have not paused in their popularity growth. 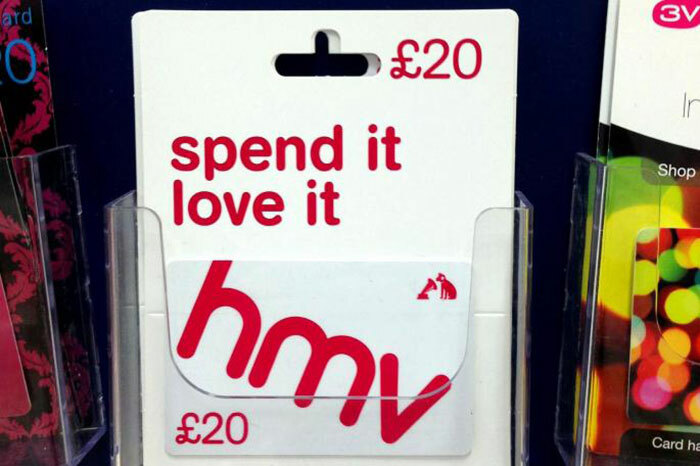 In 2013, the last time HMV went into administration, it initially refused to honour outstanding gift vouchers (worth an estimated £100 million). Thankfully, this controversial move hasn't been repeated. The 128 existing HMV stores are still open, as noted above, and they are still accepting gift cards and vouchers, reports EuroGamer. If you do have some HMV vouchers / gift cards / credit it is probably worth using them up soon. Even if the stores are still open it is possible they might start to face stock issues (for example) with the uncertainty in the business continuation at this time. I've always hated gift cards. I find it silly to use widely accepted currency and exchange it for store limited currency that expires where even if there is stuff that you want, it's still a gamble whether you can just get it cheaper elsewhere and you're essentially throwing away money. It's a hang-over from days when you couldn't send cash in cards due to theft, and before the days when Amazon had become the most awesomest retailer ever. Not so relevant now that nobody but a fool would use an actual real B&M shop, but HMV are rather old-fashioned that way. They probably still sell CDs, DVDs and Blu-Rays….!! I always thought it was only a matter of time before it fell back into administration when it got bought out of it, but I have to admit that it did last longer than I expected. I still expect GAME to fall back into administration at some point too. What amazes me is that HMV sell Spotify/Apple music vouchers, Waterstones will sell you a Kindle and Game will sell you Sony, MS, Steam or EA vouchers. Why make your competitors life easier by actively pushing custom to them?!?! There is a reason Sainsbury's don't sell Tesco vouchers after all. A small slice of someone else's pie is still better than no pie at all. This is what companies are reduced to when they didn't get a proper online/digital/streaming product together when others did.